For years, PageRank has played a large role in Google’s search dynamics and countless webmasters keep a steady eye on their rankings, in combination with other metrics, to see how their fortunes are rising or falling. While much of what drives Google’s subtle algorithms are unknown or murky when it comes to specifics, PageRank is one relatively concrete example of the overall process and therefore something many can “feel”. Recently, however, some news has indicated that the search giant may be abandoning PageRank in favour of a more up-to-date, modified version. What have we heard, what do we know, and what might this mean for the future of search? Recently, several Google representatives announced that the annotations for web pages that are featured in the PageRank toolbars will no long be receiving updates. Since the turn of the century, Google has been pinging servers with this type of update for PageRank roughly once per quarter on a consistent basis. Why is this sudden shift occurring? It certainly seems odd for Google to make such an abrupt shift with regards to this right now if there are no major changing coming down the pipeline (or if the changes haven’t already occurred). While this particular element isn’t a major ranking signal for PageRank, it is still a bit telling that Google intends to abandon even a small part of the PageRank experience going forward. Google acquires patents like a hoarder collects newspapers, but one patent in particular caught our eye that was obtained in September. This particular patent shows an example of a potentially new ranking system that generates a global score for each website and mimics PageRank to a certain degree. A unique element also included in the patent is an explanation of how this same system can be used to generate specific scores for individual pages, ultimately averaging out a website’s global score. All in all, it appears that this patent revolves around a modified PageRank algorithm that places emphasis on prioritizing individual webpages for individual SERPs even more, by deriving authority more from a page than from an entire site. After digging through the patent, a few common elements can be extracted to explain the gist of what we might expect from such a change. For starters, SERP relevance would likely be increased on a universal scale, with local signals and indicators being able to factor even more heavily into search results. Relative comparison of various websites targeting a given SERP may also become more prominent, particularly when dealing with local search results. It would also go without saying that any massive change like this will come with a plethora of unknown shifts, making it quite difficult for any of us to truly guess what will happen when pinging servers on Google in the future. 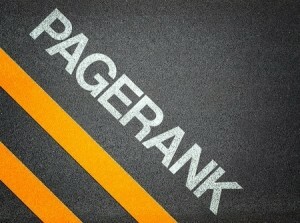 Will PageRank be ditched? It is too early to say, but there are multiple indicators that this may be coming sooner or later. On the other hand, Google acts in mysterious ways and acquires all sorts of patents that are never utilized, so it is possible that nothing will come of it. Conversely, these changes may already be in effect and we have yet to confirm it. One thing is for sure, though: the deliberatively-deceptive dance of Google Search will continue in either circumstance.